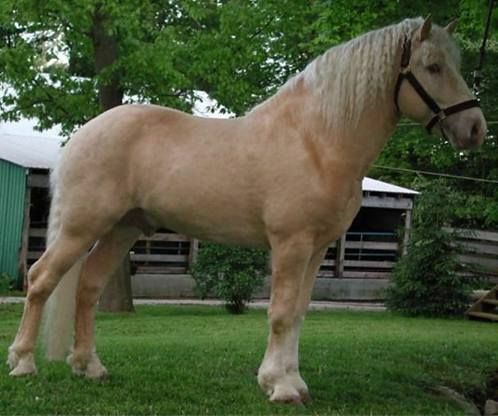 American Cream Draft Horse is a rare draft horse breed, the only such breed developed in the United States that is still in existence. It is recognized by its cream color, known as “gold champagne”. The ideal coat color for the breed is a medium cream with pink skin, amber eyes and a white mane and tail.